I wish I had time to prepare a blog post with a recipe for a Seder dinner staple, but this week has been busy for me and my friend Stef, who I would’ve asked to guest blog. 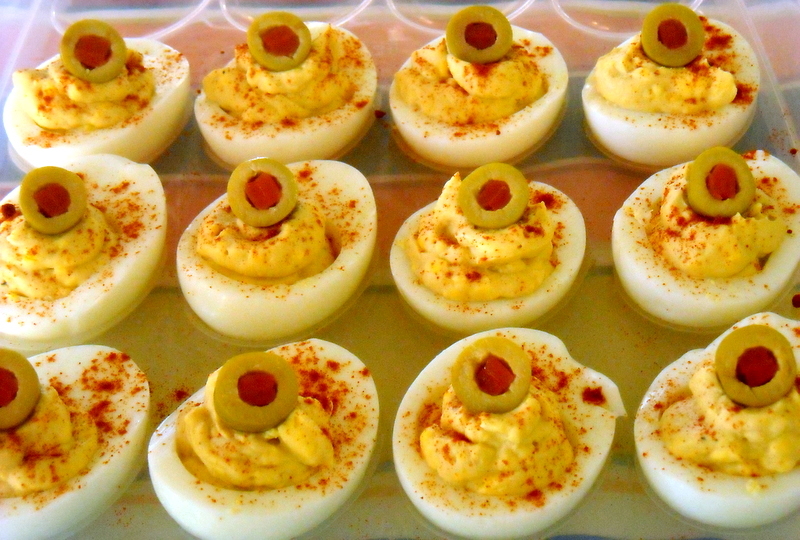 So instead, I’m re-sharing my deviled eggs recipe with you! (click here to view it). Two points for recycling! For some reason, they’re an Easter food. I don’t know why. Someone wanna fill me in? I hope everyone has a great Passover and Easter!